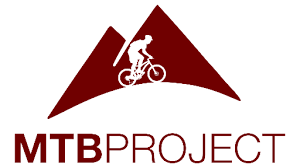 REI’s MTB Project has maps of area trails online and a mobile APP. Wherever possible, a link will take you to the detail page. It is a great resource but POP does not maintain all these trails or take responsibility for the accuracy of these maps. They are created by the public to share for your use. As with any adventure, be prepared. Trails conditions and access can change. Notes: Don’t expect a view from the top! But there is an awesome vista spot accessed by riding straight through the first log landing. It’s only 1/3 mile out of your way and well worth it. Also, the single track portion of this ride can be reached via the SCOUT TRAIL from Farragut State Park. It has some more steep and technical sections; maybe short hike-a-bikes. Maps available at the Farragut Visitors Center. Trailhead: Drive south on Hwy 95 4.5 miles to Bottle Bay Rd. Turn left, cross RR tracks, and continue 4 miles to trailhead parking on the right. The Ride: The 3.7 mile climb up Gold Hill Trail #3 is easy to follow. You’ll need your full concentration on the riding! Be on the watch for hikers, and the view spots where you can take a breather. The trail tops out at Forest Service Road #2642; where you will turn right, and go ½ mile to road’s end. Pick up the single track here. It’s over a mile, mostly smooth and fast, with some fun rollers – ending at Rd #2642, where you will turn left and begin the road climb back to the top of Gold Hill trail #3. (1/2 mile before you reach the intersection of Rd #2642 and Gold Hill Trail #3 look for the short spur on the right to check out another awesome view spot.) The 1,500′ descent back down Gold Hill Trail #3 is your reward; but remember it has some tricky sections, and there may be hikers or bikers ascending. Description: Sweet single track with a few technical switchbacks and short sections of exposed rock that all but advanced riders will probably walk. Frequent obstacles are very ride-able. The trail rolls up and down through varied terrain of Ponderosa pine and cedar forest, offering many nice views of the lake. Usually dry and rideable early season. Trailhead: Drive south on Hwy 95 5 miles to Sagle Rd. (also marked Garfield Bay – Glengary Bay). Turn left; continue 7 miles, where you will take the right fork to Garfield Bay. Passing by the lake and day-use area on the right, follow the sign to Mineral Point. Turn right on Rd #532, drive 3 miles to Rd #532A. ½ mile on 532A will bring you to the trailhead & parking. Notes: To extend this ride, park at Garfield Bay day-use area and ride to the trailhead. Road #532 is dirt/gravel and sees only light use.